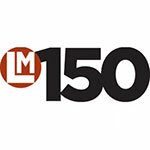 Landscape Management is accepting submissions for its 2019 LM150 list now through April 1. The LM150 is a list of the largest landscape companies ranked by annual revenue. LM has published the list annually since 2009. It has grown to include breakouts for customer mix, service mix, regions and companies with double-digit growth. The 2019 list will appear in the June issue of LM. Companies may submit their details through the online form. Contact LM Special Projects Editor Marisa Palmieri with questions at 440-537-4308 or mpalmieri@northcoastmedia.net.